Width: 20.87" Height: 11.81" Depth: 36.22"
The S3500 is designed to issue various debit and credit cards in a branch or back-office environment. The smart and modular concept behind this versatile instant issuance solution offers a high level of customization to meet customer needs. 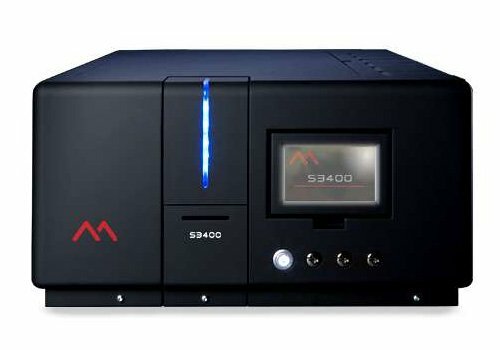 The combination of technologies (direct-to-card printing, embossing, and encoding modules) and our expertise in delivering financial card personalization technology places the S3500 in a class of its own. 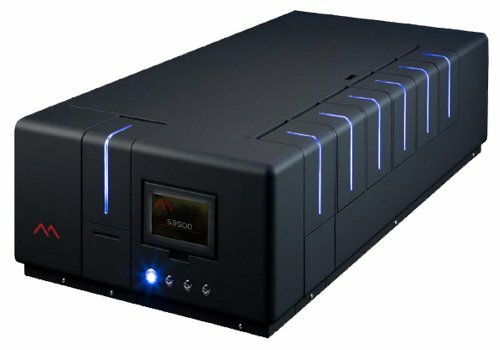 The S3500 is fully scalable with the option of two to seven card feeders for a total capacity of 700 cards. An ‘on-board PC’ is included to provide an all-in-one solution for instant issuance in a branch or back-office. Every S3500 supports magnetic encoding as well as chip encoding (contact and/or contactless). Password protection to ensure secure access to the device. Card level monitoring thanks to backlit card feeder doors.